No, it’s not another 9/11 exposé. 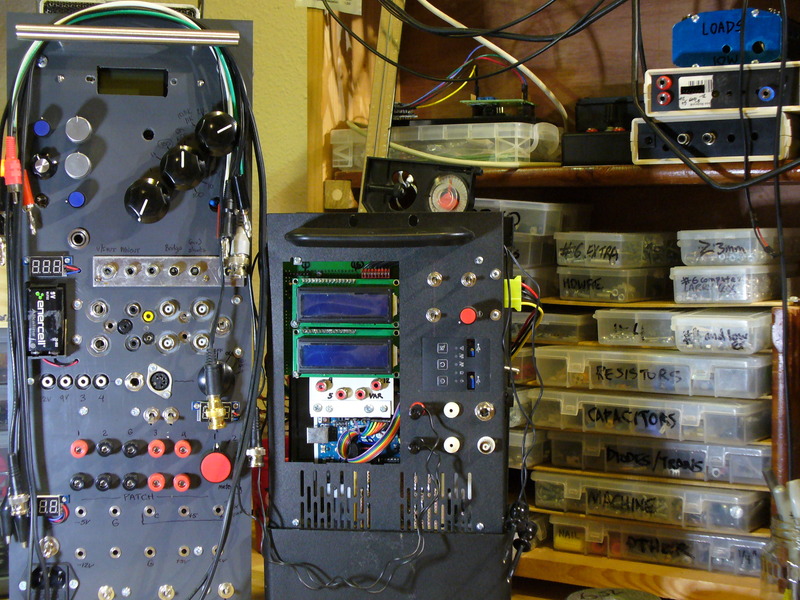 This is a little long-delayed article on making electronic equipment for a hobbyist workbench. 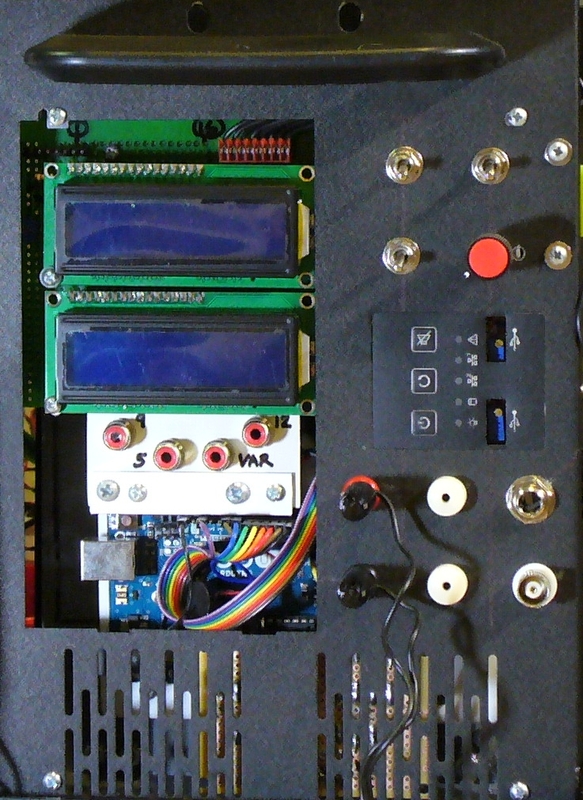 I have designed and built a lot of test equipment for my hobby. I still do. But a lot of it I end up hardly ever using, or using just once. I had a need. I built something to fill the need. It filled the need. And the need never returned. Or so it seemed. But some needs kept coming up. A quick source of power. Need to measure a voltage. Need to measure a current, or a resistor, capacitor, sometimes even inductor. I had created a lot of different solutions for these basic needs and usually put them in some sort of horizontal enclosure. This was the standard approach. However, if I put the thing close to me so I could use it, it blocked access to the rest of the bench. And if I put it further away, I never used it, opting instead for something portable that I could put on the bench temporarily then put back somewhere else. So one day (a year ago?…hard to say when for sure) I got the idea of trying a vertical arrangement. Maybe this was the compromise design that would keep the tools I needed the most close at hand without blocking my access to the rest of the bench. I started on Tower One. I had a piece of plastic I was going to use for some sort of rack-mount project (19 inches wide) so I just turned it on its end and made a cabinet out of it. I wanted all the stuff I had put in past designs in this one. A bunch of power supplies, including a variable one. At least one meter. A selectable voltage divider and a bunch of current shunt resistors. And a signal generator. And since I was getting into Arduino, the signal generator would run on software. I also wanted to include a “patch bay” that I could use to change cable connector types, as this was a constant problem. And I came up with something. But after sitting on my bench for six months or so, it was obvious there were parts of it I hardly ever used. The minus supplies were one thing, but didn’t matter that much, as they didn’t take up that much space. The whole top section was not being used, either. The other parts were being used a good deal, but I wished I could monitor voltages and currents easier. So I decided to build Tower Two. I wanted to make this tower half the height of the other. I had a hard time finding a good enclosure, but finally decided to take the front panel of a rack-mount enclosure that I didn’t want and cut it in half. I used both halves, with a hinge between them. One half had the power supplies in it and the other half the rest of the electronics. I expanded my Arduino application to monitor 4 power supply outputs at the same time. I had to find a little stand to sit this on to get it up to near eye level, and settled on an old plastic speaker cabinet that was the perfect fit. I simplified the “patch bay” to a few most essential connectors. Result: I use the new patch bay all the time, but for some reason prefer the power supplies in the other tower. That’s probably because my current metering didn’t work out very well in the new tower. I still use other tools quite often, including a little Radio Shack multimeter that I modified to work off an AC adapter, and a cute capacitor meter that I found online and installed in a rack-mount enclosure that sits to one side. This capacitor meter is very cool, as I often want to know cap values with more precision than they are marked – or can’t read the markings. This is probably the most productive bench I have ever used. 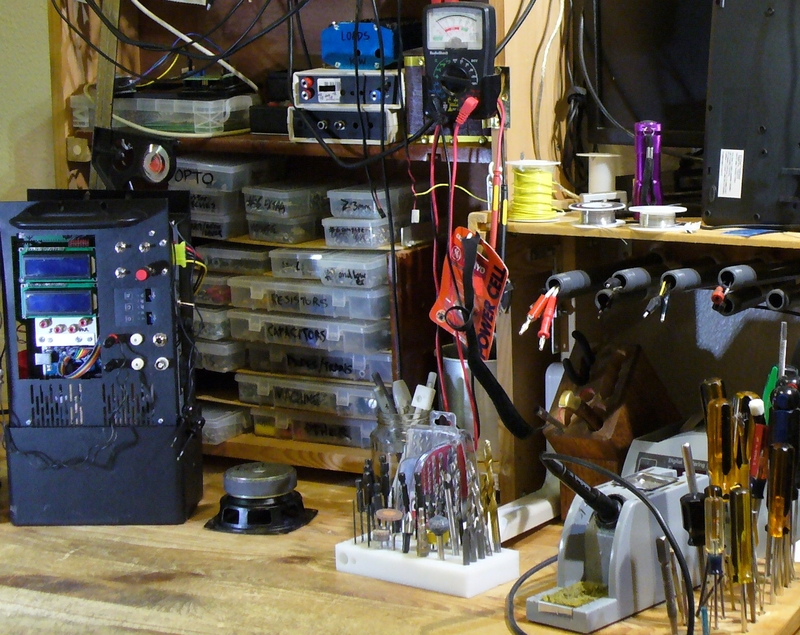 The Radio Shack temperature-controlled soldering iron is really nice, I have all my hand tools pretty well organized, and I don’t try to make it double as a table to eat at, as I used to with past workbenches in other apartments. Yet the look of it is not yet that great, wouldn’t you agree? It still looks pretty messy. Part of my workbench in a unusually cleaned-up state.